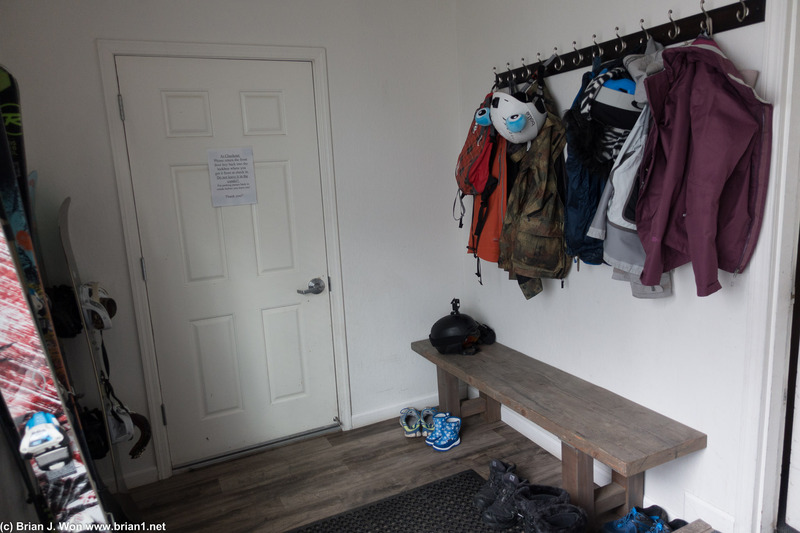 A condo with a proper mud room! 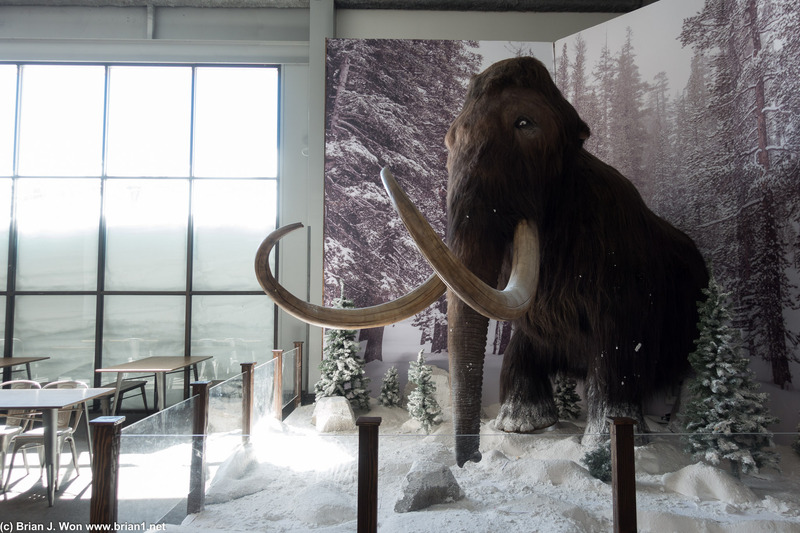 Recent addition to McCoy Station-- a mammoth! Melt House on the backside. Chair 13 up the main ridge from the backside. 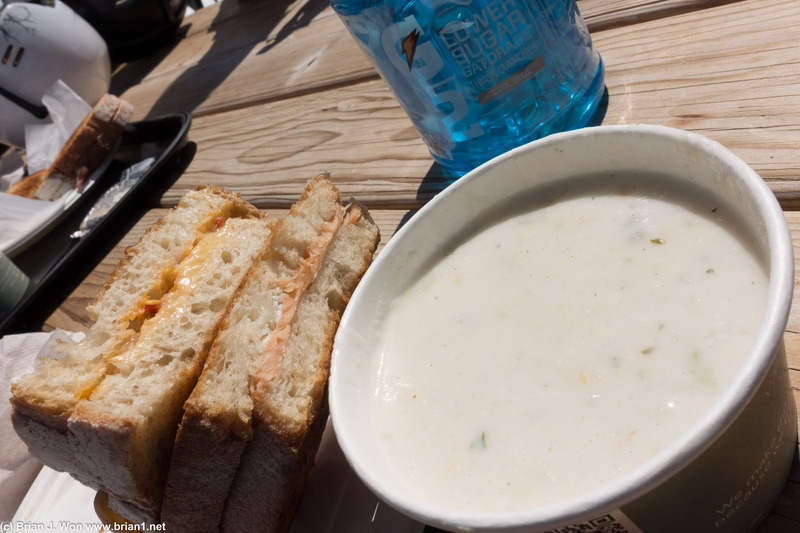 Fancy grilled cheese and an okay clam chowder from Melt House. More riding all over the mountain. Great snow everywhere is the theme, although this morning's mountain tour was not nearly as good as yesterday's nature tour- group was twice as big and our guide's voice was half as loud; not a good combo. Mike and I split off from the tour after a few runs, mixed things up by hitting most of the runs off High Five Express the rest of the morning. Lots of soft bumps everywhere, great for practice for skiers like myself who skills on moguls need a lot of help! 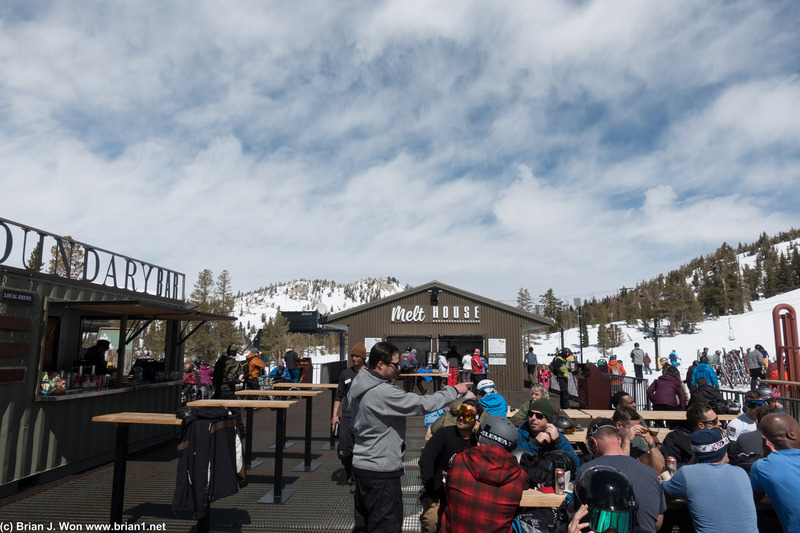 An overrated lunch at Melt House (grilled cheese sandwiches) over at The Outpost on the backside, then skied the rest of the afternoon with one of the kids who was also on the mountain tour- turns out he's a park ski instructor back home and is really, really good. Found some more great lines down the backside, as well as down MJB's on the front side, and I think finally over by Ricochet to wrap up the day. 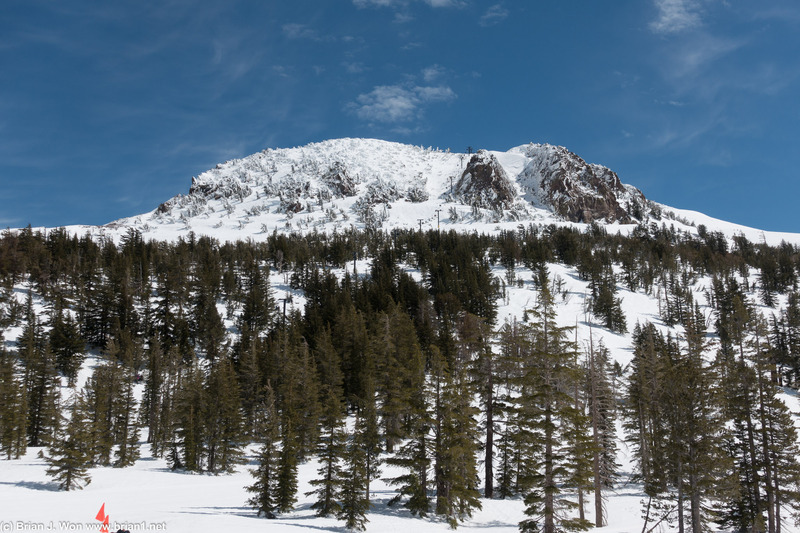 Didn't quite close the mountain down, but like yesterday, it was close!